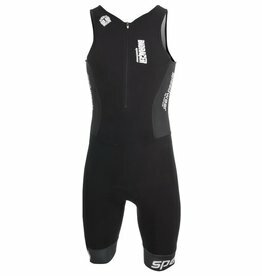 The best of the best for shorter distances when no neoprene suits are used for swimming. 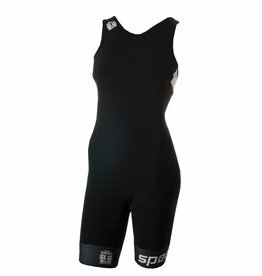 Suit completely made out of 100% hydrophobic material, guaranteeing fast swimming times. 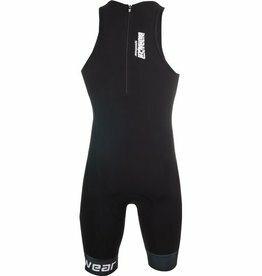 The fast-drying properties of our water-repellency treatment used on the Polyamide 6.6 fabric can be particularly appreciated in Triathlon competition. Lightest on the blocks at 110g. 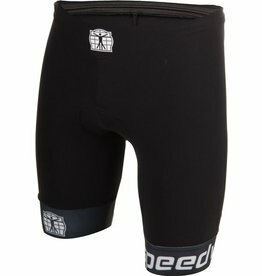 Short made out of Oxygène, comfortable, lightweight, and anatomic, triathlon-specific cut. 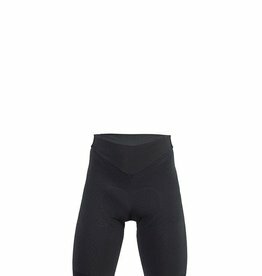 These shorts are suited for short and long distances. The silicone anti-slip belt holds the shorts nicely in place. 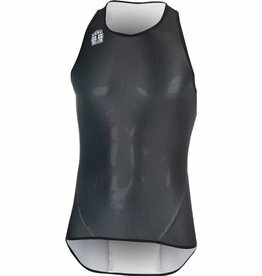 This lightweight, no zipper Tri Top Nel consists of Coolmax Mesh and is the preferred choice of long distance athletes for extra warm competitions.